Family Receives $825,000.00 for Accident that Killed Wife and Mother. Home / Family Receives $825,000.00 for Accident that Killed Wife and Mother. 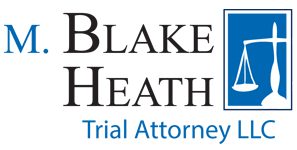 Blake Heath recently settled claims for his client after the client was involved in an accident that killed his wife. On October 4, 2013, the client and his wife were traveling eastbound on Missouri Highway 58 in Belton, Missouri. Another driver traveling westbound on Highway 58 made a sudden turn and entered the client’s lane of travel. The client tried to avoid the accident, but it was too late. The client and his wife were both taken to the emergency room by ambulance. The client suffered lacerations to his forearm and had extensive diagnostic studies done. He was released later that evening. Unfortunately, his wife broke her neck in the accident. While in the hospital, she contracted pneumonia and passed away on October 14, 2013 as a result of the accident. 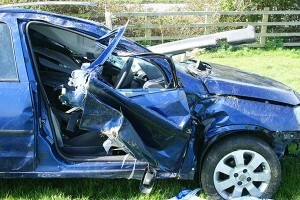 The negligent driver only had $25,000.00 per person and $50,000.00 per occurrence in liability insurance. M. Blake Heath was able to receive the policy limits not just for the death of the client’s wife, but also for the client’s injuries. Knowing that the client and his three adult children were not fully compensated with the $25,000.00 received for the death of their wife and mother, M. Blake Heath investigated what other insurance policies may provide coverage. The client had an underinsured motorist policy with Farmers Insurance Company that agreed to pay its $100,000.00 limits for the wrongful death claim. In addition to Farmers, the client also had underinsured motorist coverage through a commercial liability policy he carried for his excavating business. After reading the policy, M. Blake Heath determined that the commercial liability policy covered any vehicle owned by the client and his wife. A claim was quickly filed with the commercial liability carrier and the carrier was added as a defendant in a pending wrongful death lawsuit. Shortly after settling with the negligent driver and Farmers, the commercial liability carrier settled the underinsured motorist claim for $675,000.00. This case is a great example of why it is important to retain a lawyer who is familiar with underinsured motorist benefits and insurance coverage issues if you have been in an accident. Because of his experience with insurance coverage litigation, M. Blake Heath knew that there was a viable claim against the commercial liability carrier. This claim provided the family with an additional $675,000.00.